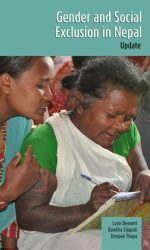 This working paper provides an overview of quantitative surveys on migration in Nepal, including various national censuses, with a specific focus on their methodologies. 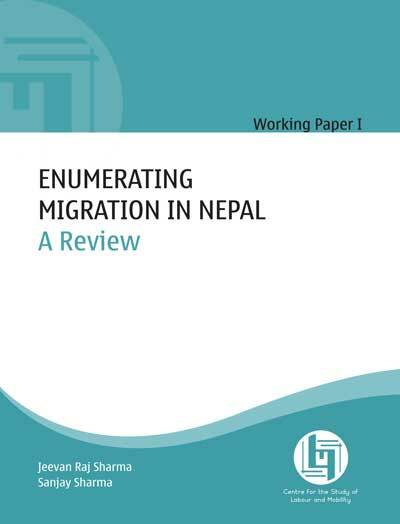 It aims to document the evolution and key characteristic of migration surveys, and proposes to answer the following questions: How have such studies evolved in Nepal? What kind of quantitative data is available on migration? What aspects or forms of migration have been studied? And, what specific methodologies have been used? Jeevan Raj Sharma, BA (Kathmandu University), MA (Tata Institute of Social Sciences), PhD (University of Edinburgh) is a Lecturer in South Asia and International Development at the University of Edinburgh. Earlier, he worked as a Senior Researcher and Assistant Professor at Feinstein International Center at Tufts University, where he conducted extensive fieldwork on Maoist insurgency, migration and social change in western Nepal, and taught graduate courses at Fletcher School of Law and Diplomacy and Friedman School of Nutrition Science and Policy. He has also been an associate at Centre for South Asian Studies (Edinburgh), visiting fellow at the Social Science Baha and Centre for Study of Labour and Mobility (Kathmandu), and adjunct professor of anthropology at the Nepa School of Social Sciences and Humanities (Kathmandu). He has a wide range of interests in academic as well as policy research. His current areas of research include marginal areas in ‘Southasia’, armed conflict and social transformation, labour mobility, transnationalism, livelihoods adaptation, international aid policy and practice, research collaboration and governance, and socio-cultural knowledge and planning. Sanjay Sharma is a Research Associate at the Centre for the Study of Labour and Mobility. He received his bachelor’s degree in Social Work from Purbanchal University, and has also completed the one-year course in Graduate Diploma in Social Sciences from the Nepa School of Social Sciences and Humanities.